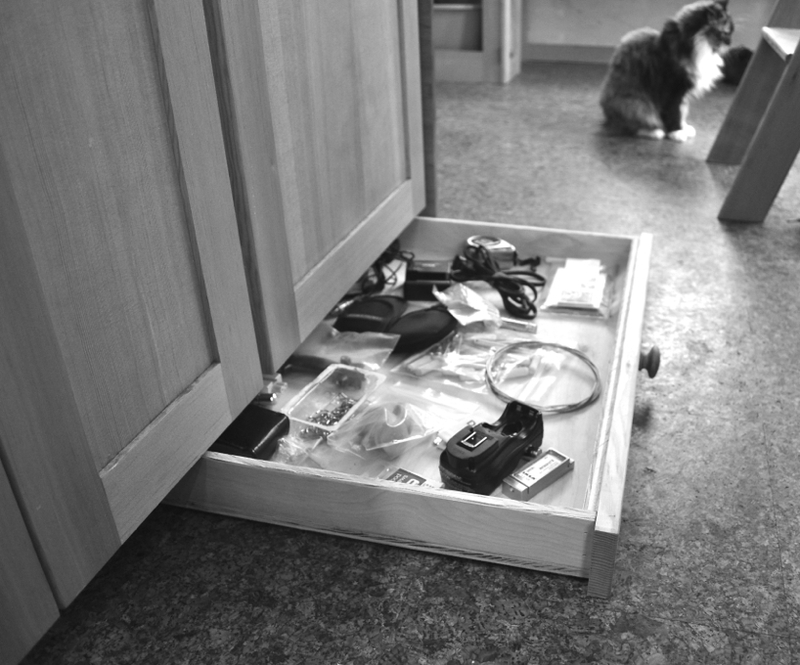 For example, we have a dedicated drawer for computer cords and other odds and ends. Leaving these items out on the counter would clutter up the house quickly. In addition, I love our window nook. 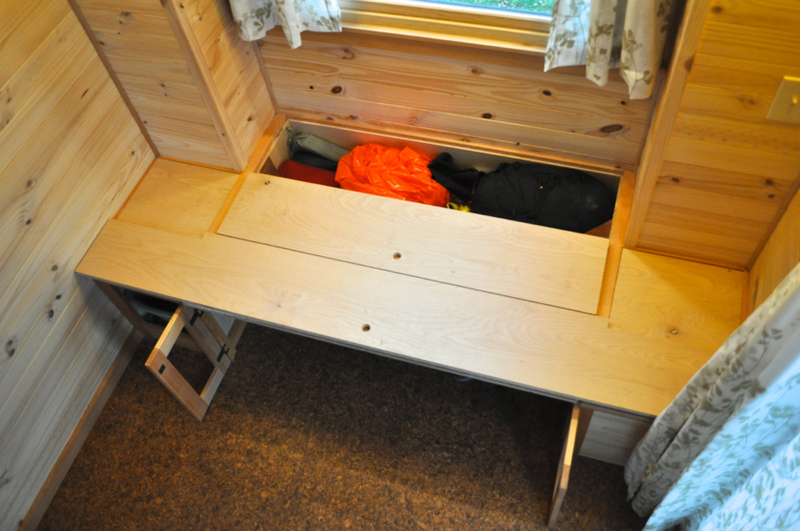 It’s a space to read, it folds out into a single bed, and under the seat is storage for our camping stuff. 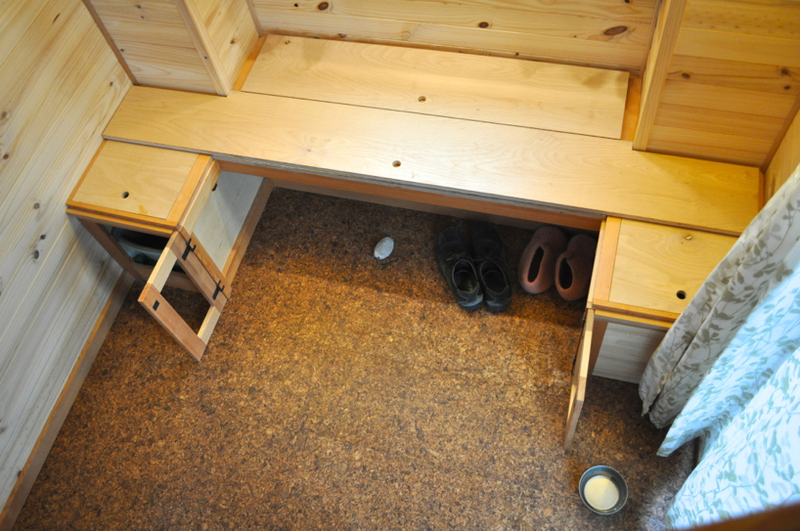 As we were talking, Dee suggested that I do a post about all the secret storage spaces in the tiny house. Yesterday, I spent time taking photos of all our hiding spots; all of the little details you haven’t seen yet. 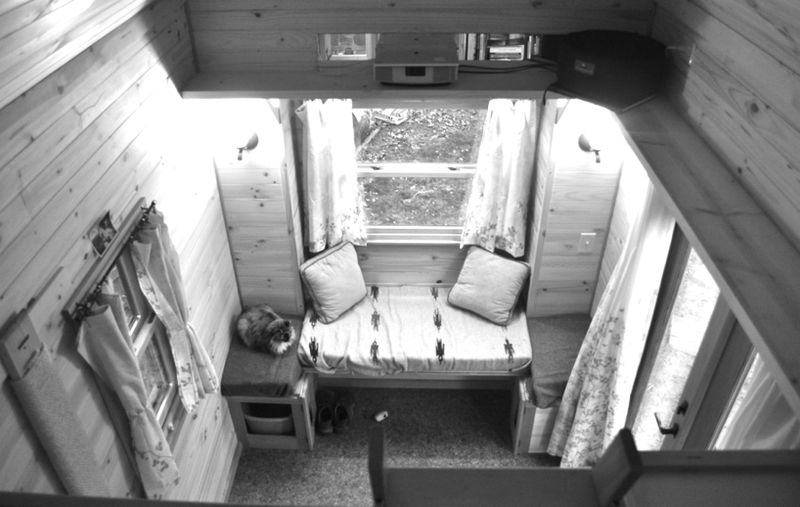 Tiny homes don’t have to be cramped. 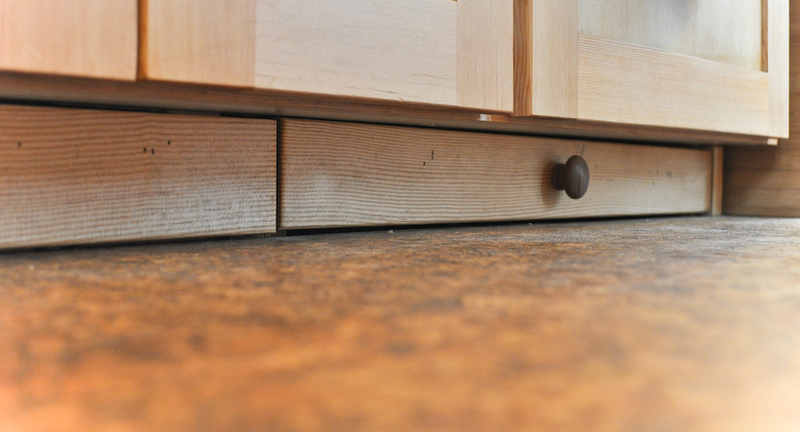 These little spaces can feel open and spacious; it’s just a matter of designing them well. As Antoine de Saint-Exupéry said, "You know you have reached perfection of design not when you have nothing more to add, but when you have nothing more to take away."